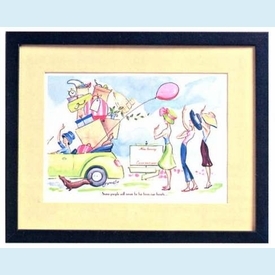 This artwork features three girlfriends waving good-bye to their best friend as she drives away. 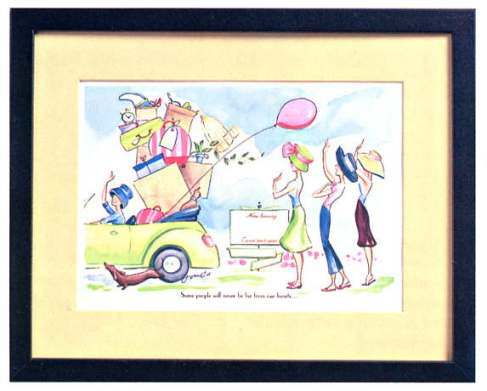 Delightful artwork comes with a special quote and signable mat! Best used with a "sharpie"-type fine marker. Just open the back of the frame remove the glass and have your party guests sign their names and special message to the guest of honor! Black frame with yellow signable mat. CLOSEOUT...last one! SIZE DIMENSIONS: ~11" x 14"